Congratulations to Alyssa Fischer! 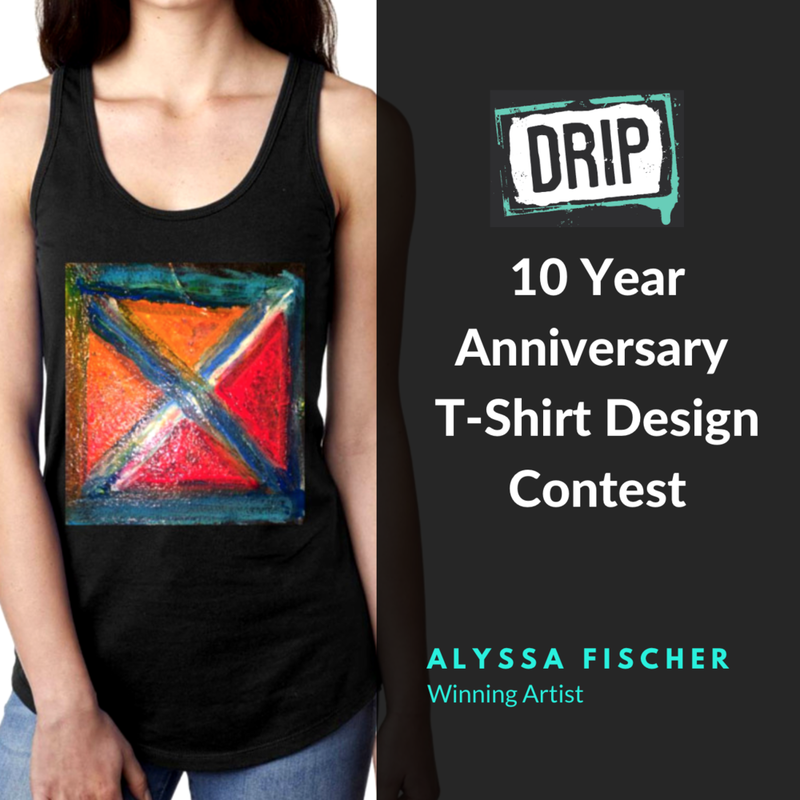 The fans have spoken and they would like your t-shirt design to be printed on a limited edition 10 year anniversary t-shirt! Shirts will be available for purchase starting at DRIP's 10 Year Anniversary Party! on May 28th!